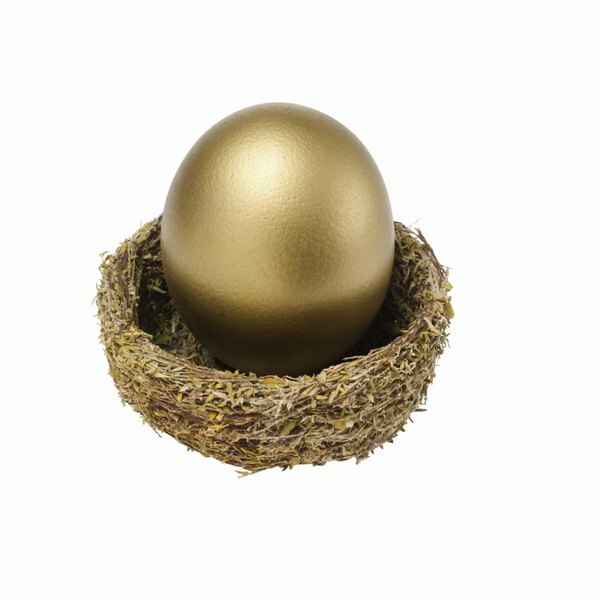 Your Roth nest egg can grow very large with maximum annual contributions. 2. Do You Lose Money With Roth IRAs If the Economy Is Bad? Congress established tax-advantaged individual retirement arrangements to provide working people an incentive to save for their retirement. With the Roth IRA, you make contributions from after-tax income, but your retirement distributions will be tax-free. Unlike many other investment vehicles, investment gains on your Roth IRA contributions are not taxed during your working years, so you can build a substantial retirement fund. You could end up with a nice retirement nest egg if you contribute the maximum each year until your full retirement age and invest wisely. But you also could lose your contributions if your investments tanked. The Internal Revenue Service doesn't tax Roth IRA investment gains, but IRS rules make it very difficult to claim Roth IRA investment losses as a tax deduction. To claim a Roth investment loss, you must close out all your Roth accounts, not just the one that suffered the loss. You get a loss deduction only to the extent your total Roth distributions are less than the total amount you contributed to all your Roth accounts. For example, if total distributions from closing out all your Roth accounts were $500 less than your total contributions to the accounts, you would get a $500 investment loss deduction. As of 2013 you can contribute up to $5,500 each year to your Roth IRA, rising to $6,500 starting at age 50. You can make the full Roth contribution if you earn between $5,500 and $112,000 annually if single, or between $11,000 and $178,000 if married filing jointly. If income falls below or above these limits, you may be allowed to make a partial Roth contribution. But you can't make any Roth contribution if you had no earned income or earned more than $127,000 if single or $188,000 if filing jointly. If you are just starting out in your first job after college, you typically would be in your early twenties. Assuming there are no major changes in the legal retirement age, you would have about 35 years years until you reach the IRS retirement age of 59 1/2 and about 42 years until you reach Social Security's full retirement age of 67. If you were able to contribute the 2013 maximums each year until you reached age 59 1/2, you'd have contributed $202,500. If you contributed the 2013 maximums every year until you reached age 67, you'd have contributed $248,000. You can start contributing to a Roth account as soon as you have earned income and keep contributing to your Roth account even when you've passed retirement age so long as you have earned income below the maximums. While you may know how much you contribute to your Roth account each year, the ultimate value of your Roth at retirement is impossible to predict with accuracy. The size of your Roth retirement nest egg will depend on whether you are able to make the maximum allowed contribution every year, how much you earned from investing your contributions and whether you suffered investment losses. In general, the lower the risk of losing your principal, the less your investment will return. As of September 2012, safe investments like U.S. Treasury securities or bank certificates of deposit were paying less than 2 percent interest, a level that precludes building wealth. Riskier invesments such as stocks can earn more, but you also risk losing money on these investments. Financial experts advise a mix of low-risk investments like bank CDs for safety and higher-risk investments like stocks for growth.